I’m pretty much skincare obsessed so whenever I see skincare that’s new or new to me, I have to try it. 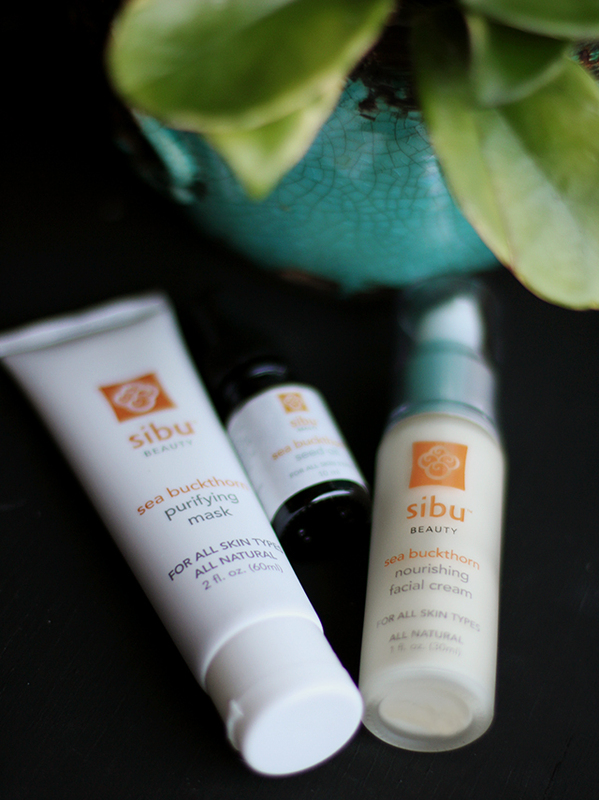 I just stumbled upon the Sibu Beauty line a couple months ago and I was excited to try it. I’m always on board to try oils and new skincare ingredients I haven’t heard of. Sea buckthorn is the active ingredient in these, and I’ve honestly never seen it around, so I was excited to give it a whirl! First I tried the Sea Buckthorn Purifying Mask. It works by sitting on your face to absorb toxins and impurities for 5-7 minutes and then you rinse it away with lukewarm water. It felt more like a light exfoliator than a mask, because there were scrubby pieces in it! It smelled slightly like citrus when I applied it. The sea buckthorn berry is a resilient berry that lives and thrives in the harsh conditions and high altitude of the Tibetan Himalayas by fortifying itself with over 190 bioactive compounds. If there is a plant that amazing that it can live and thrive in harsh conditions, of course I want some of that on my face. I want all the rare and amazing ingredients on mah face! Anyway, when I rinsed it off I could definitely tell it was taking my dead skin cells with it. It sloughed everything off with the exfoliating bits and my face looked a little bit brighter right away! Next, the Sea Buckthorn Seed Oil. People who enjoy serums and oils will love this! It contains more of that Tibetan berry that is so awesome and it works to relieve skin conditions such as rosacea, eczema, acne, and dermatitis. I do get occasional acne flareups but my most of my skin gripes are the beginning signs of fine lines and dryness. I did notice that this was extremely hydrating on my skin and a little went a super long way. The first time I used the dropper to apply this I applied about three times too much but it still absorbed pretty quickly and felt really nourishing. The scent was something I couldn’t place. I almost thought it smelled slightly like wood varnish. It wasn’t my favorite scent and somewhat pungent but faded quickly. 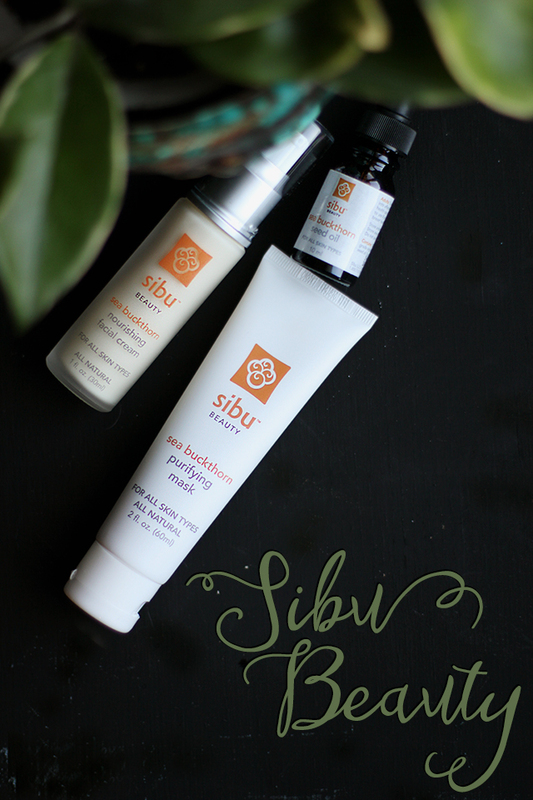 To lock in some of that good skincare, I have been enjoying the Sea Buckthorn Nourishing Facial Cream. This comes in a long tube with a tiny pump that reminds me of the packaging that serum normally comes in, not facial lotion. Nonetheless, three pumps covered my entire face and neck. The scent of this also was a bit on the citrus side. The facial cream is meant to create the perfect barrier to moisturize, rejuvenate, repair, and protect. In the next couple months between the tail end of winter and the beginning of warm weather my skin is usually all over the map and I need something that keeps the moisture in. This is a little too light for what I need right now but I could see it being perfect for summer when I like something lighter! All in all, I really did enjoy this skincare line. My favorite was probably the Sea Buckthorn Seed Oil. All the products are cruelty free, GMO free, vegan, and fair trade. You can have great skin and feel great about what you are supporting at the same time! I’ve liked the products below if you’d like to take a look for yourself! They are also available at Walgreens, so next time you are doing a drugstore haul check them out in person! 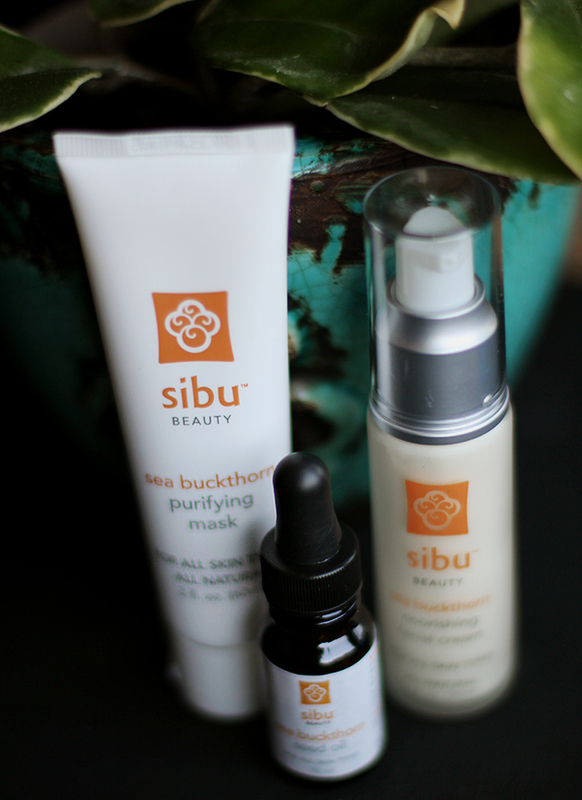 I’m a fan of seabuckthorn in my skincare. The packaging of these is great! Love that they are cruelty-free. I’ve only tried their scrub before and I loved it! got to try their Nourishing Facial Cream a while back and it was lovely. A little lightweight for me but really nice stuff.